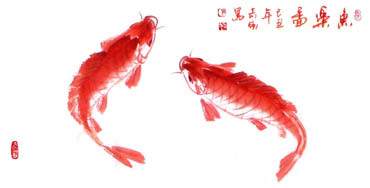 Koi fish, (carp), has a long history in China. 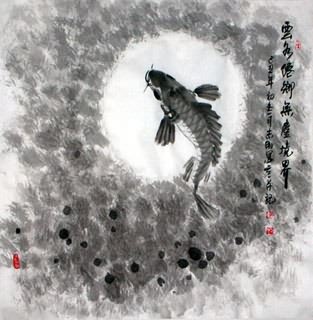 It is one of the most popular auspicious thing. 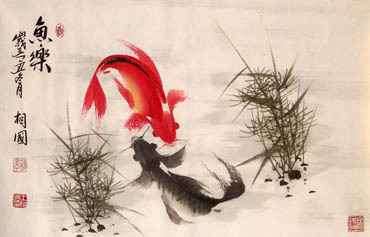 The ancient China people deem koi fish as one of the symbol of wealth, respect, lucky and power. 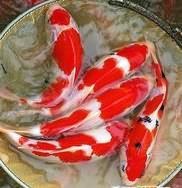 It is also one of the delicious foods. 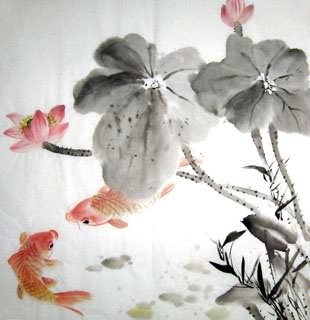 Chinese Koi Fish Fengshui Painting/Scroll: "koi fish(鲤)" and "benefit(利)" are homonymic words in Chinese (both sound "li"), so it symbolizes the big benefits in business. 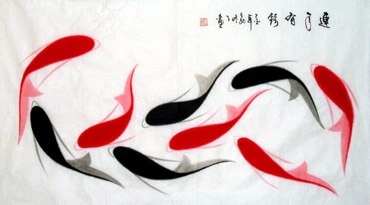 Nine(9) Koi Fishes Painting: 9鲤鱼图 in Chinese " nine (九 / 9) " sounds the same as the word "permanence (久)" , so 9 koi fishes images can bring big money for a long long time. 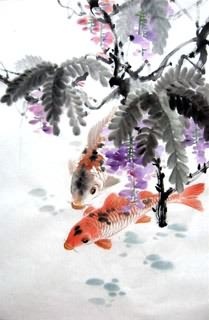 Koi Fish Jumps Over the Dragon's Gate Painting: from a long legend in China. 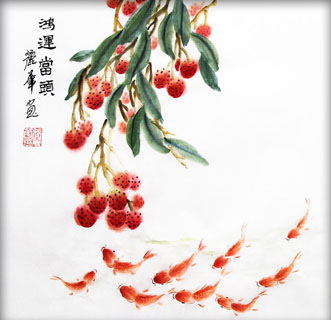 (鲤鱼跳龙门) Symbolize big success in the civil service examination or getting a big promotion. 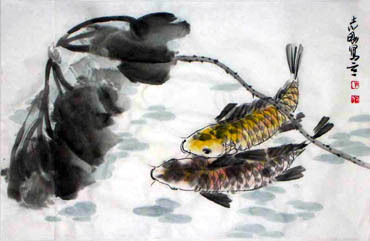 Three(3) Koi Fishes Painting: symbolize "having advantages again and again". 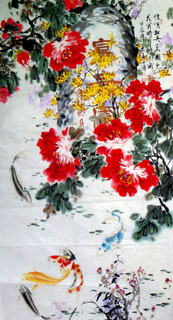 If you put the picture in your house, it can bring your family benefits/profits. 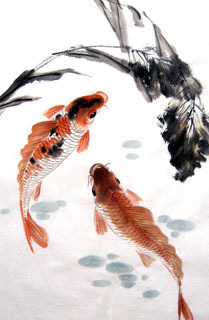 Two(2) Koi fishes Chinese Scrolls : two fishes: one of the Eight Auspicious-symbols of Buddhism. 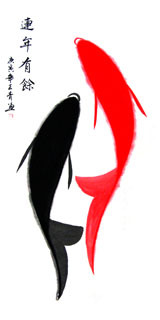 They represent firm and harmonious relationship, and they symbolize happiness and can ward off evil. InkDance Price: USD 296 /GBP 243 /EUR 282 Sold, you can customize it. InkDance Price: USD 370 /GBP 304 /EUR 352 Sold, you can customize it.